Isn’t it time to be inspired by a look that you’ve never seen before? 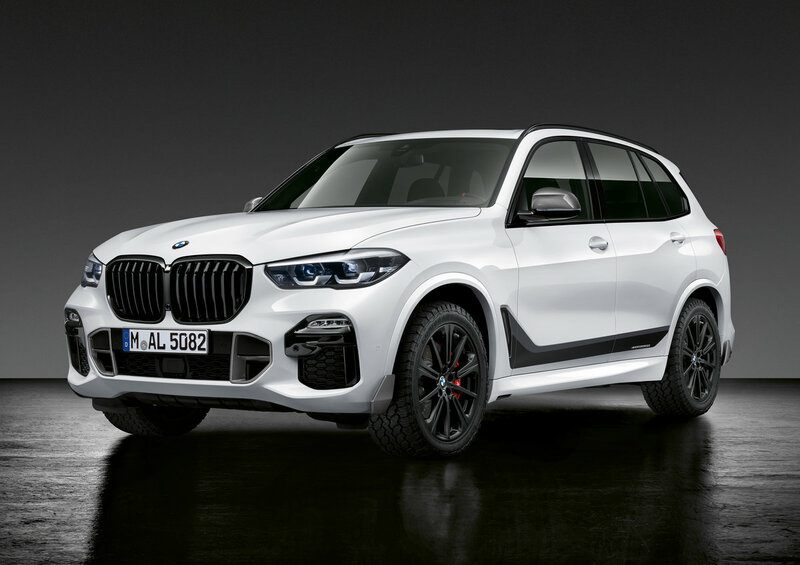 This year BMW is gearing up new inspiration for 2019. Make your world a little more exciting with more horsepower than the previous generation and improved suspension with Dynamic Damper Control included making it ready to travel any terrain. 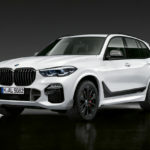 In addition, other drivers will admire the enlarged, one-piece active kidney grille and trapezoidal exhaust finishers of the all-new BMW X5. Want to really ride above the rest? 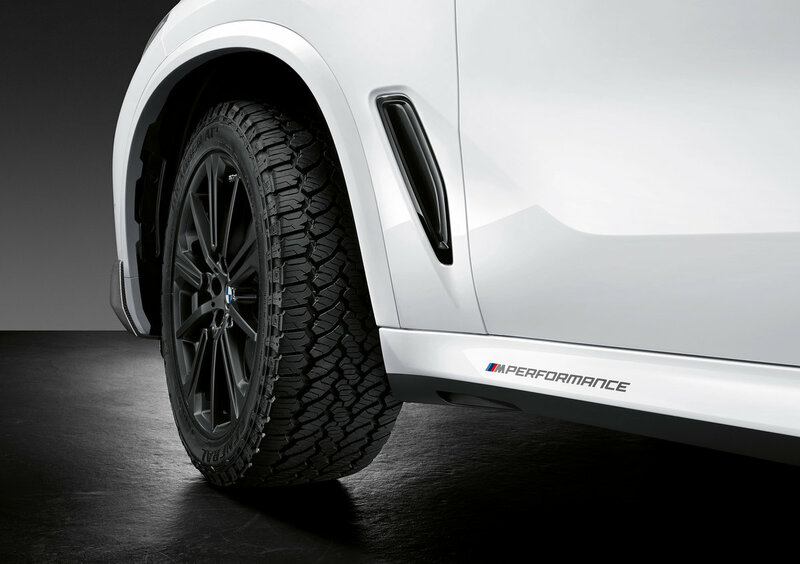 Add BMW’s first-ever factory available 22-inch wheels. Not to mention you can own your X5 experience before you even open the door. 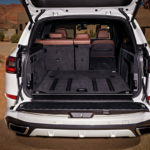 Models are equipped with Comfort Access that begins unlocking and activating the Welcome Carpet lighting as you approach. And with optional Remote Engine Start, you can get in and go with ease. 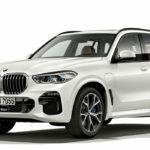 Convenience, cargo, and class are expanded terms to enhance the luxury side of the BMW X5 with available Glass Controls, BMW Individual leather upholstery, heated steering wheel, armrests, and rear seats, heated and cooled cup holders, and a Harman/Kardon Surround sound system make this like a mini-mansion on wheels. And not let’s not forget about power. This new powerhouse hosts a 4.4-liter V8 – the most powerful engine ever developed for a Sports Activity Vehicle. The engine produces 567 horsepower and 553 lb-ft of torque. This raw power gets a sophisticated twist thanks to M-tuned TwinPower Turbo and Valvetronic technologies and delivers a 0-60 mph time of just 4 seconds. It sounds as though 2019 is the time rethink innovation. 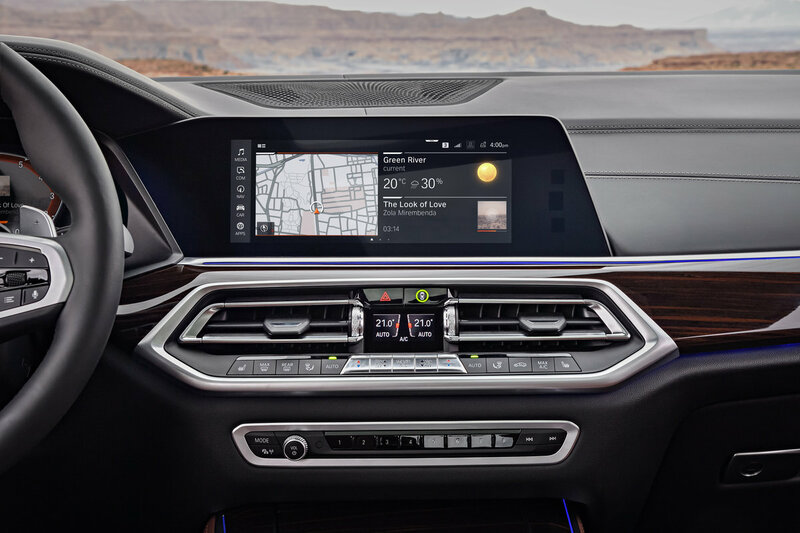 The highlight of the interior is the new, seventh-generation iDrive infotainment system. 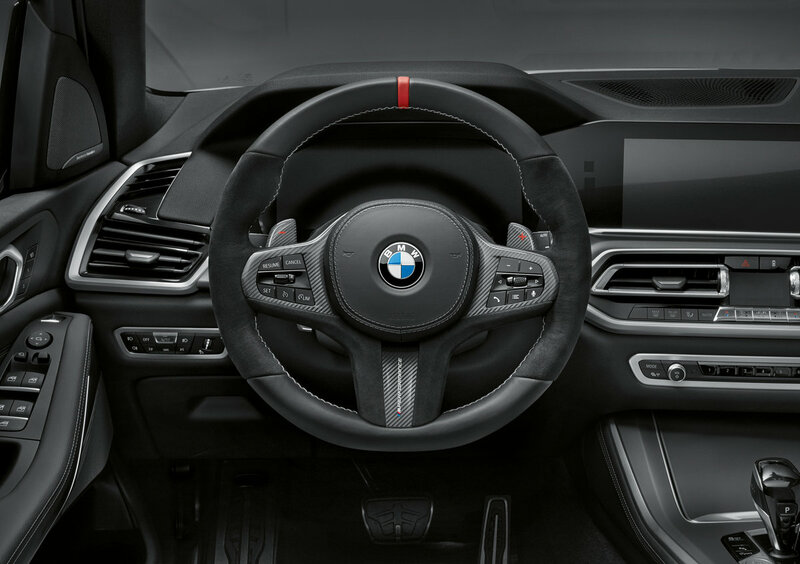 Using a 12.3-inch touchscreen on the dashboard, it also has a rotary controller that now adds haptic feedback, as well as voice controls and gesture recognition. 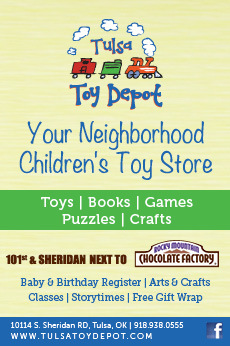 The home screen layout can be customized with different pages and layouts. 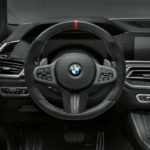 The M Performance steering wheel ensures the driver has secure control over the dynamic SAV at all times, for example. This is due to the extremely high-grip Alcantara handling area with large thumb rests and special underlining for excellent stability and a direct steering feel. 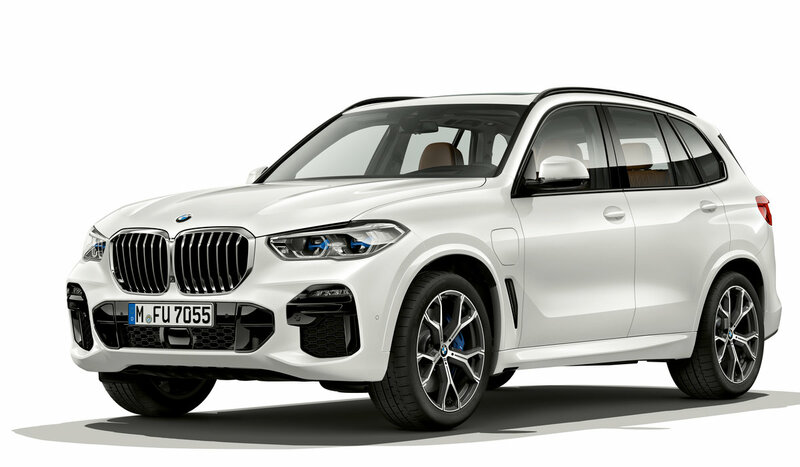 For customers who prefer to highlight and make use of the off-road capabilities of their BMW X5, the 20” M light alloy wheel Star Spoke 748 M with all-terrain tires is now available for the fourth generation of the BMW X5. 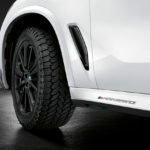 The color BMW M logo is especially eye-catching due to the fact that the rim is finished in sporty matt black. 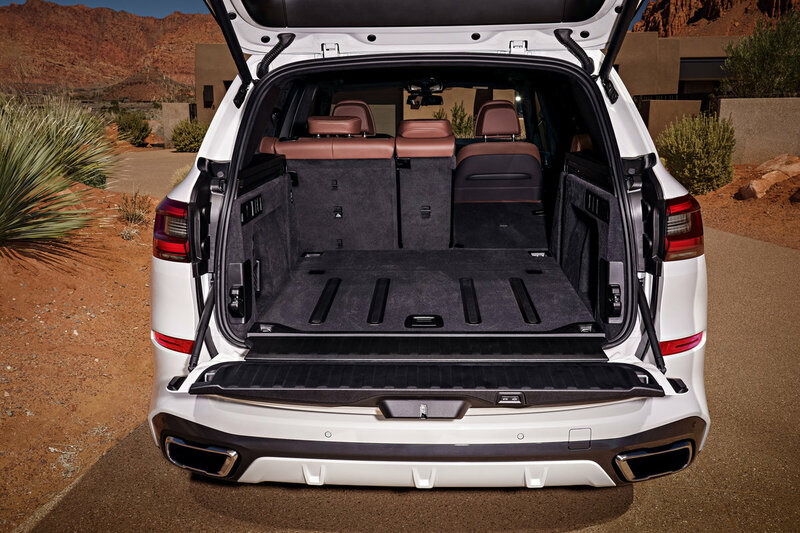 With the first-ever factory installed trailer hitch on an X5, optional third-row seating, power split tailgate, and up to 72.3 cubic feet of cargo space, the All-New BMW X5 has room for more – from backcountry gear to backseat drivers. * Vernasca leather variant, as well as BMW’s familiar Merino leather. * “Dynamic Interior Light” flashes lights to alert the driver to everything from a phone call to opening a door when the engine is still running. *Active Driving Assistant brand, with pre-collision warning and braking, pedestrian detection, blind-spot, and rear cross-traffic warnings. * Safety feature, Emergency Stop Assistant. Designed to be used if the driver becomes “incapacitated because of a medical emergency,”. * Adaptive M Suspension Professional, which uses active anti-roll bars at each corner to reduce roll in the corners while also improving ride comfort.